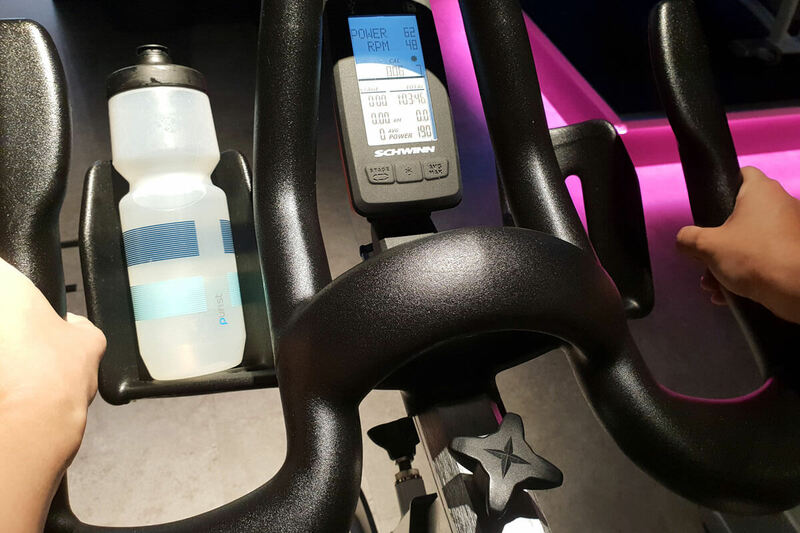 “Let’s slowly get back into shape by doing spinning class,” says no one ever. Let’s be honest, spinning has a pretty harsh reputation. This was confirmed to me as I observed the terrified facial expressions every time I asked someone to join me for a class. Nevertheless, there I was participating in my first spinning class. I regretted it as I checked the clock through my sweat and tears: I was 10 minutes in the 50 minute session. I could not leave… I mean this literally, because the shoes have clips and it takes a while to get used to un-clicking them. I was stuck, a prisoner of this bike driving me to hell. The truth is, nothing in life goes by faster by complaining or contemplating how miserable one feels. I decided to shut my whining tab and started focusing on the music. It worked! There I was, stretching: the class was over. At the exit, the instructor was distributing some well-deserved sweaty high fives. No words can describe the pride and satisfaction which invaded my body and mind. I even surprised myself dancing to the joyful beat in the changing room. What kind of sorcery what this? It is on a substantial endorphin rush that I arrived at the office to the despair of my coworker who is not a morning person. 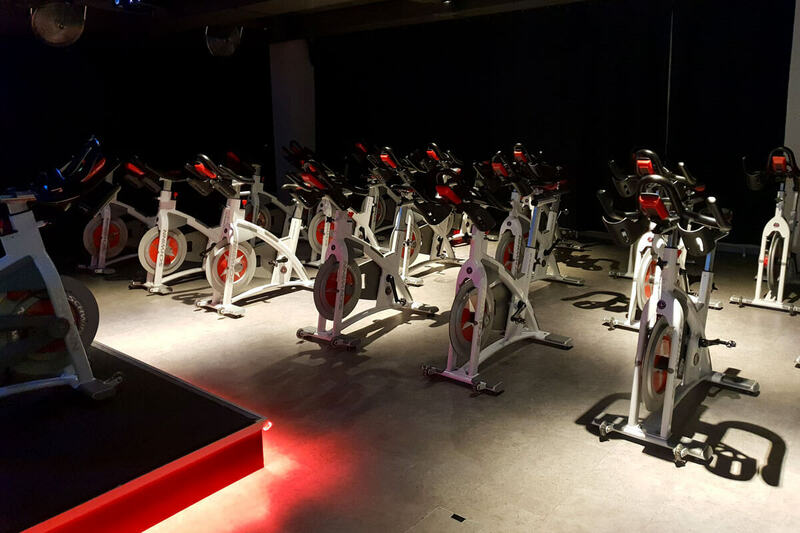 For the past few months, I have pursued my spinning journey at Velocity – up to three times a week. Their system is really easy: you register online and show up in your sport attire with a water bottle. You do not need to worry about shoes, towels, soap or even shampoo. Which is a good thing; I would have forgotten half of those things for the 6:30 AM class. 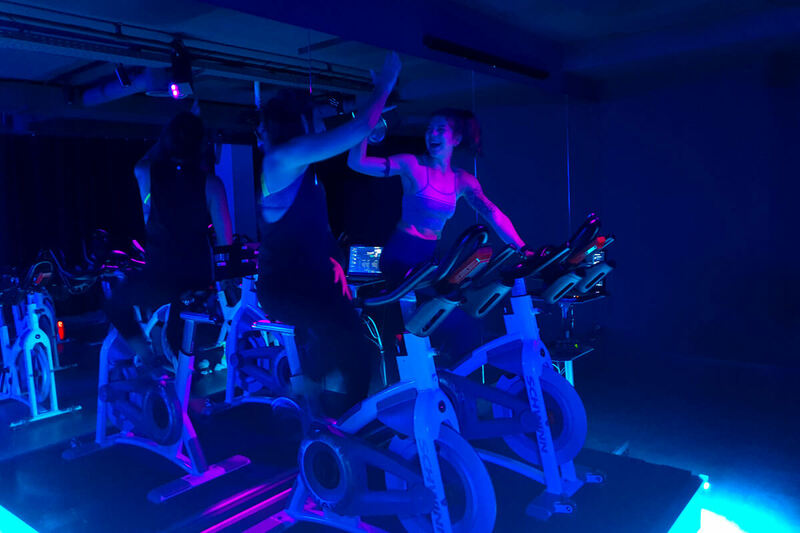 Velobeat consists of choreographed exercises on an upbeat track. I have learned that after two or three sessions, the key of success is to keep up with the beat that was set by the instructor. It is primordial! Otherwise, you will be counter-beat and will look like a convulsing fish out of the water as you try to coordinate the movements to the music (especially during the side crunch). 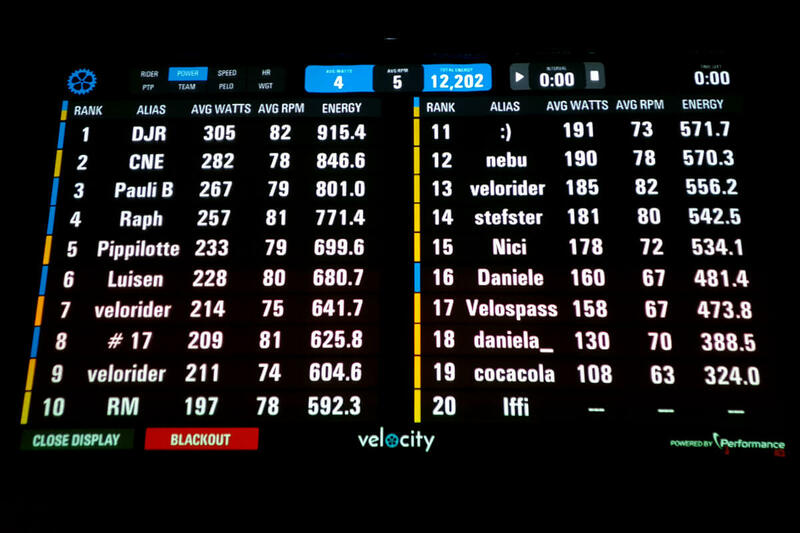 I did only Velobeat classes for a couple of weeks. It seemed less intense and more fun. I was intimidated by the appellation of Veloburn. My perception was that the Veloburn class was reserved only for powerful semi-gods on a quest to the ultimate performance. For the sake of the article, I finally dared to attend one of those classes – and I loved it! Veloburn is easier for those who lack coordination. And it is, indeed, more demanding. It is less about the beat and more about pushing your limits. How heavy or fast can you go? The instructor strongly recommends a speed and/or a resistance level, but in the end “you do what you can do.” The workout is what you make out of it. If you are not pushing enough, there is a scoreboard which tells your position within the group. Here’s a little heads-up: change your name in your online profile! Otherwise, you will be called velorider, like five other people. It might give you the illusion that you are better than you actually are. Or it might distract you as you are trying to figure out which velorider you are. It might be a variation of the Stockholm syndrome, but I appreciated every single instructor I have encountered. They all have their own style. Some give importance to the lyrics by finding motivation in the words. Others will tell (yell!) inspirational quotes, pushing you to better yourself. Some instructors bring you to a level of motivation which could almost be qualified as religious: making you want to scream “Amen, praise the lawd!” Just like ice cream, I recommend to try them all to see which one you prefer. 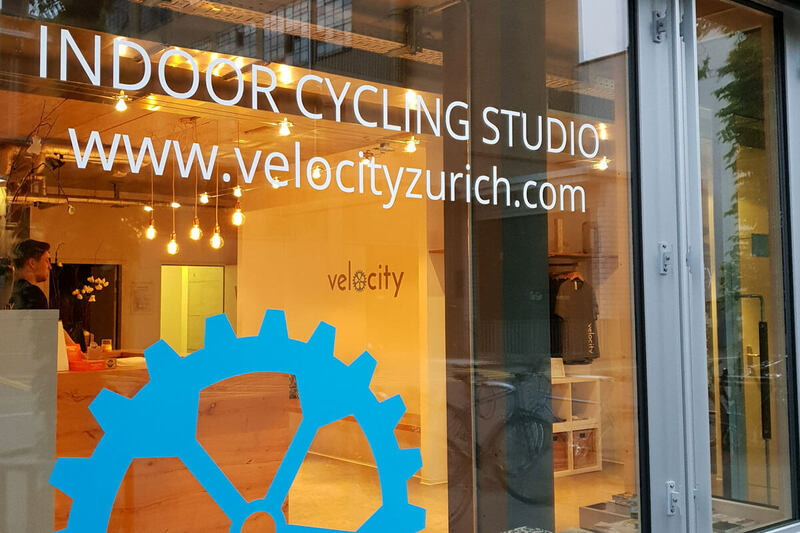 My spinning training at Velocity in Zürich was supposed to be temporary, but the atmosphere and the people there made me want to go back. And also because I like to brag about the fact that I am a badass for doing spinning classes.